Are you new to Hope Church? Want to find out more about us? 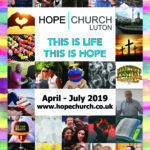 This is an opportunity to find out more about Hope Church, and our vision and values. If you are new or have been with us for a short while please come along.